United So-Cal Collective aims at providing its customers with the best possible delivery service experience. The company specializes in delivering the finest, organic, pharmaceutical-grade medical marijuana. The mission of the company is to help patients who are unable or don't have an opportunity or are unable to visit a dispensary through shipping medications right to their homes. 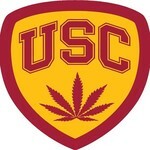 To ensure that the customers receive the purest pharmaceutical-grade cannabis, United So-Cal Collective collaborates only with credible farmers who have already acquired solid reputation in the market. All plants are thoroughly tested for pesticides, fungicides, and microbiological contamination to guarantee absolute safety of the flowers. You will be delighted with the assortment, as at United So-Cal Collective you will find a variety of Sativa, Indica, and Hybrid grades, as well as extracts, tinctures, edibles, and drinks. Please note that all patients must provide their doctor's recommendations and state-issued ID cards to be able to make an order. To get verified, emails or text a picture of your valid ID and a recommendation from a doctor to uscollective.dlv@gmail.com or (323) 534-1982.